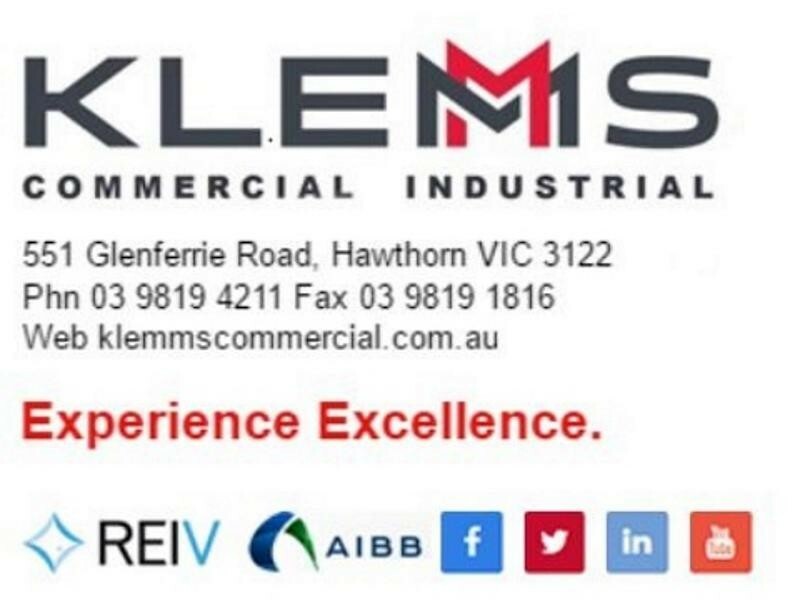 Hawthorn, Victoria 3122 | City - South East - 14628. Business For Sale in Melbourne presented by Klemms.com.au. Professional service 7 Days a week. We wish to introduce you to a unique property management service, where you deal with the General Manager Gabriela Ammendola of Klemms Commercial Industrial personally, 7 days per week. Gabriela has been in commercial industrial real estate for over 15 years and knows your area well including most business and its investors. Gabriela can also provide free advice regarding any lease issues or account enquiries you may have and might want to seek an objective opinion. Call us for a no obligation property inspection and meeting. Gabriela's service is second to none.